[prMac.com] Amsterdam, Netherlands - Today AssistiveWare, a leading innovator for assistive technology, released a major update for its symbol-supported communication app Proloquo2Go. The award-winning app already gives a voice to over 150,000 English and Spanish children, teens and adults who have difficulty speaking. Proloquo2Go is exclusively available for iPad, iPhone and Apple Watch. 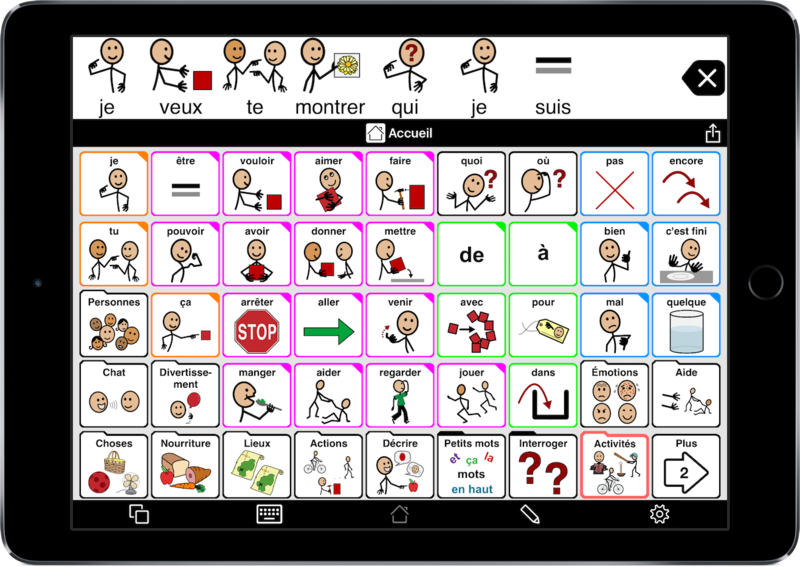 Version 4.4 adds full support for French, including a research-based vocabulary developed in collaboration with French Augmentative and Alternative Communication (AAC) experts. "When we started working on French a year ago, we knew we needed strong partners," founder and CEO of AssistiveWare, David Niemeijer explained. "By partnering with the Centre d'Expertise et de Ressources Nouvelles Technologies & Communication of the APF and the French chapter of ISAAC we have been able to do justice to the beauty of the French language while building a vocabulary that allows AAC users of all ages to fully express themselves. In collaboration with Acapela Group we have also been able to create natural-sounding children's Text to Speech voices." In Europe approximately 700,000 francophones are not able to make themselves understood with their own voice and may benefit from an AAC solution. This includes over 100,000 children aged 2 to 14. 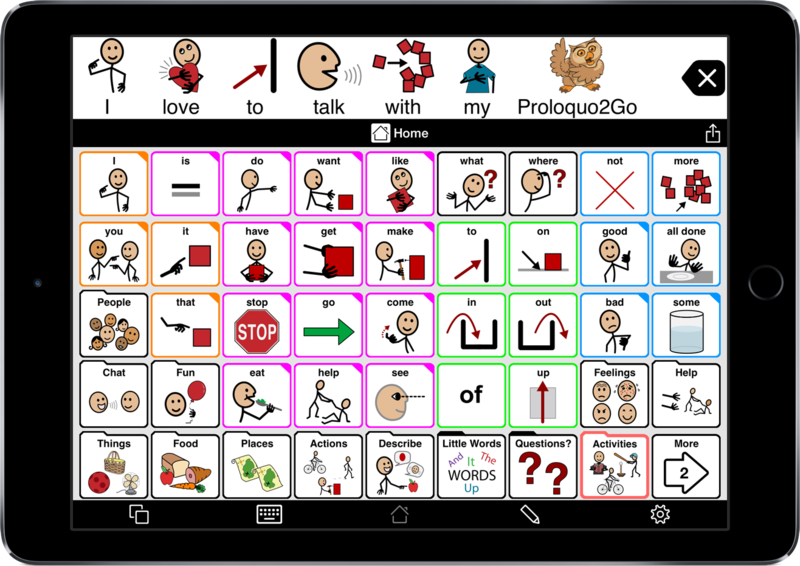 Proloquo2Go's features have been carefully designed to support these AAC users' language development and growth of communication skills. "People who cannot speak, cannot be fully independent. Decisions are often taken without them. With an Augmentative and Alternative Communication tool they can be involved in decisions that affect them," said lisabeth Cataix Negre, Occupational Therapist. "Proloquo2Go puts the linguistic richness of the French language front and center. The app offers the full grammar, which is very rich and at the same time accessible for children who cannot yet read," said Albane Plateau, Speech and Language Pathologist. "For me, Proloquo2Go is the best app for language development." Founded in 2000, AssistiveWare(R) has established itself as the worldwide leader in innovative assistive technology software for iOS and Mac OS X. AssistiveWare works in close collaboration with end users and professionals to offer a portfolio of award-winning solutions for individuals with physical, vision, communication, and reading impairments. In 2009, AssistiveWare was the first company to release a full-featured Augmentative and Alternative Communication solution for iOS - the award-winning app, Proloquo2Go. Together with Acapela Group, AssistiveWare was also the first to create genuine children's Text to Speech voices. All Material and Software (C) Copyright 2016 AssistiveWare. All Rights Reserved. Apple, the Apple logo, Mac OS X, iPhone, iPod and iPad are registered trademarks of Apple Inc. in the U.S. and/or other countries. Other trademarks and registered trademarks may be the property of their respective owners.